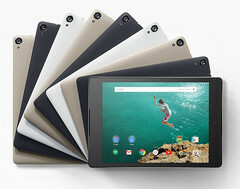 Although the Nexus 6 phone and Nexus 9 tablet will no longer get Android updates since Google has confirmed that Android 7.1.2 would not reach them, these devices will continue to get security patches. Google has just unveiled the first Public Beta of the Android 7.1.2 Nougat update, promising to deliver the update in its final form in the months to come. Once Android 7.1.2 is ready to hit the market, the first ones to receive it are going to be the Nexus and Pixel lineups. Sadly, the Nexus 6 and Nexus 9 will not be included in the list. The Google Nexus 6 smartphone and its larger sibling, the Nexus 9 tablet, are both more than two years old already. Since new devices get guaranteed updates for just two years, seeing Google drop them from the list of Android 7.1.2 supported devices is not such a surprise. However, since these two Nexus devices run Android 7.1.1 Nougat just fine, those who would like to keep them around for a longer time will surely have a lot of community-maintained ROMs to choose from. Even those reluctant to use firmware not coming from Google will continue to have secure devices, since official security patches will be provided for at least one more year.